Fort William sits at the base of Ben Nevis and at the head of Loch Linnhe, the self-proclaimed 'Outdoor Capital of the UK'. Indeed many of the best places to stay in Fort William are geared towards catering for just such a clientele. But Fort William isn't just for hikers, bikers, climbers and sailors. Glen Nevis, the glen below the mountain, has been a movie star several times over, in Braveheart, Rob Roy and the Harry Potter films, and this is a remarkable setting for simply relaxing and drinking in the view. If you've ever dreamt of tackling Ben Nevis then you'll have heard of Fort William. This is where walkers set out from - with warm clothing and waterproofs, please! Despite a couple of challenging stretches near the peak, Ben Nevis is a pretty popular summit. For a quieter mountain hiking experience try the Mamores, a range running southwards from Glen Nevis. And if you're here in winter you can also ski and snowboard in the Nevis Range. If you're more into mountain biking rather than hiking then this region has hundreds of routes to offer you. For something more sedate see the Loch from the deck of a cruise boat. The main boat leaves Fort William's pier at two hour intervals and takes a 90 minute jaunt around the loch. For added relaxation there's also a bar. Fort William's spectacular surroundings weren't properly appreciated by town planners. The town itself is cut off from the beautiful loch by a busy road, so you do need to get out of town to make the most of it. 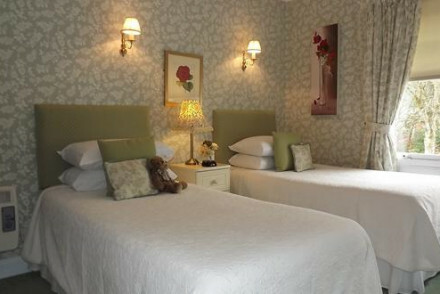 If you want to guarantee yourself a room in one of the best places to stay in Fort William then be sure to book ahead. Stroll along the town's pretty High Street, where you can buy all manner of Scottish bits and bobs. The West Highland Museum tells the story of the region and its history. Including a superb collection relating to Bonnie Prince Charlie and the Jacobite cause. See the bagpipes played at Bannockburn. Head to the Ben Nevis distillery, where you can learn all about making whisky and try a dram of the local single malt. For a Harry Potter style experience, catch the 'Deerstalker' from London, the overnight sleeper leaving from Euston. The name comes from its popularity with shooting parties. 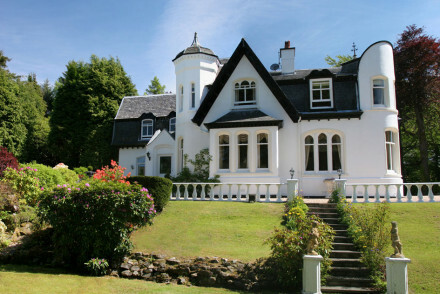 For style and loch views the best place to stay in Fort William is The Grange. On the western fringes of the town, this lovely Victorian townhouse is set in lush gardens. Beautiful, luxurious and peaceful. Situated just up the road, The Lime Tree is a 9 room property boasting comfortable accommodation, an in-house art gallery and an award-winning restaurant serving up local produce. Ideal for an active getaway. Located in the quiet village of Spean Bridge, Smiddy House offers just four rooms, all decorated in a Scottish Highland style (think plenty of greens and tartan furnishings). What's more, there's also a restaurant and a garden. Inverlochy Castle is just that, a castle. 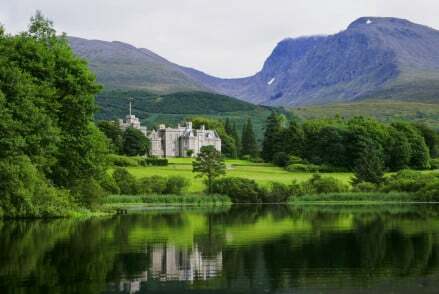 This is your chance to experience the wonderful old-school luxury of castle living and undoubtedly one of the best places to stay in Fort William, if not the whole of Scotland. The 'hotel car' is a Rolls Royce Phantom, the clientele is A-List and royalty, and the food is Michelin-starred. Slightly further from Fort William than our Guru's other recommendations, Glencoe House is the perfect place to stay if you're looking for a wonderful country house hotel in a Highland setting. Family, and dog, friendly, this hotel has all the mod. cons. plus all the outdoorsy ones. Take a bracing walk, do some fishing, or relax in your freestanding bath. You're best off visiting Fort William in the summer months, with the average daily temperature rising to 14° in August. Be sure to remember a jacket though as there's always the chance of rainfall in Scotland! International visitors can fly into Glasgow Airport, located 113 km away, before taking a coach or train on to Fort William. Browse through our list of all the best places to stay in Fort William. Alternatively, take a look at all our recommendations in the Highlands and Islands. Set in the quiet village of Spean Bridge just 11 miles from Fort William and close to Loch Lochy. 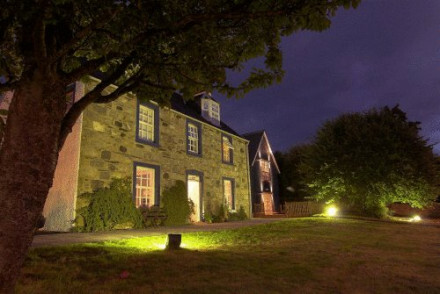 The four rooms are comfortable and tastefully decorated in a Scottish highland style. The restaurant serves up locally produced fare and the garden room offers the perfect spot for a quiet drink. Elegance, romance and old-school service in sublime surroundings at the foot of Ben Nevis. Imposing rooms with heavy curtains, chintz wallpaper, antique paintings and four poster beds. The bathrooms are the height of modernity. A multi award winning restaurant. The perfect country getaway. Families - Plenty of kit for the kids indoors including games rooms, DVDs, playstation plus endless outdoor activities. Foodies - This fantastic restaurant has been awarded one Michelin Star and 3 AA Rosettes- utterly delicious! Fishing - Fishing in Loch Na Marag in the Castle grounds or salmon and trout fishing further afield. Great walks - Stunning scenery to be explored starting straight from the property.